Hey, does anybody want free cannabis seeds? Most weeks we have a free seeds giveaway running on our facebook page and all you have to do is like/follow the page to be notified of what free seeds we are giving away. As well as free seeds we often give away cool cannabis related merchandise that we get given by the seedbanks. This can include T-shirts, Grinders, lighters, papers, pipes, bong and a load of other stuff. 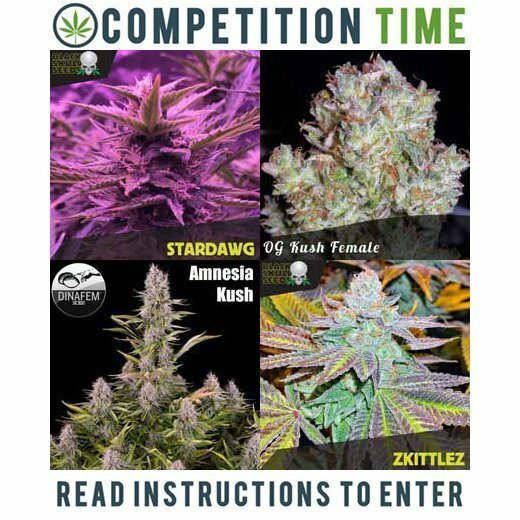 This week we are giving our facebook friends the chance to win 25 Blackskull Zkittlez feminised seeds worth over £100.